The University of Tokyo, formerly known as the Imperial University, is the oldest national university in Japan. It was established in 1877, through the merger of two schools, the Kaisei Gakko school for Western learning and the Igakko, a medical school. This first incarnation of the University had four departments: Law, Science, Literature and Medicine. Since then, the University has absorbed various other schools and universities, and today has expanded to become an integrated education and research facility comprising ten undergraduate faculties and thirteen graduate schools. Since the very beginning, The University of Tokyo has sought to set the highest global standards in research. It has also achieved an international reputation as an educator of talented human resources; its graduates have impeccable skills, are informed by a global perspective, and are capable of playing leading roles in Japan and the rest of the world. These internationally minded graduates are well equipped to become the leaders of Japan's civil society. The ongoing contribution of The University of Tokyo graduates to national development in Japan through judicial law, legislation and public administration has been and continues to be momentous. Specialist academic study alone is not sufficient to cultivate a pioneering and international approach in graduates and researchers; exposure to diverse and interdisciplinary learning opportunities is key. 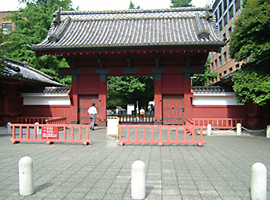 The University of Tokyo is one of the few universities in Japan that still provides a liberal arts education; all undergraduate students, for the first two years, receive a general education before selecting specific fields of study and receiving specialist instruction in those chosen fields. Put simply, as well as being a driving force in education, research and national development in Japan, The University of Tokyo also ranks alongside the world's top universities in terms of the quality of its education and research. The University of Tokyo boasts an impressive list of alumni who have graduated to top positions in the worlds of politics and law in Japan, equipped with specialist knowledge and a global perspective. Traditionally, The University of Tokyo alumni have figured prominently in the Cabinet of Japan. Moreover, Eisaku Sato, who served as Prime Minister of Japan from 1964 to 1972 and was awarded the Nobel Peace Prize in 1974, graduated with a bachelor's degree in German jurisprudence from the Imperial University. Graduates of The University of Tokyo have also made unparalleled contributions to the national and global economy. Economic and industry heavyweights including Jiro Ushio, Namihei Odaira, Matsutaro Shoriki and Shigeo Nagano head a countless cast of distinguished graduates. Of particular note is Kiichiro Toyoda, who is known worldwide as the founder of Toyota Motor Corporation. The University of Tokyo has a strong history of producing outstanding literary figures. Many of the most well recognized names in Japanese fiction are graduates of the University, including Ryunosuke Akutagawa, Kobo Abe, Jiro Osaragi, Mokichi Saito, Shoyo Tsubochi, Bansui Do, Soseki Natsume, Yukio Mishima and Ogai Mori. Japan's two Nobel Laureates in Literature, Yasunari Kawabata (1968) and Kenzaburo Oe (1974) are both graduates of The University of Tokyo. Literature is not the only field where The University of Tokyo has produced Nobel Laureates. In 2002, Dr. Masatoshi Koshiba, an astrophysicist based at the University, was awarded the Nobel Prize in Physics for his pioneering work in the detection of cosmic neutrinos. His work in constructing KamiokaNDE, the massive underground neutrino detection facility, prompted the award, and today the facility has been improved and renamed; the Super-Kamiokande continues to lead global research in neutrino detection. The Department of Physics can count many other prominent physicists as alumni and affiliated researchers. Dr. Yoji Totsuka was another outstanding astrophysicist who expanded upon the ground-breaking work of Masatoshi Koshiba, proving that the neutrino has non-zero mass. Another graduate is Dr. Leo Esaki, who received the Nobel Prize in Physics in 1973 for his revolutionary discovery of the tunnel effect of germanium transistor radios, which contributed significantly to the subsequent global popularization of radios. Dr. Torahiko Terada was another graduate; his achievements included research in the observation of crystal X-ray diffraction. 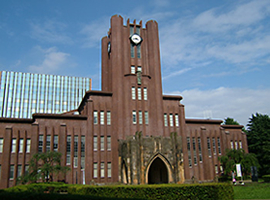 The University of Tokyo is also a world leader in the field of theoretical physics. In 2008, Yoichiro Nambu, who received his doctorate at the University, was awarded the Nobel Prize in Physics for his proposal of the theory of spontaneous symmetry breaking. One of the most exciting developments of for industry today is photocatalysts, and the most pioneering research in this engineering field is being carried out at The University of Tokyo. In 1967, Dr. Akira Fujishima discovered that photocatalysis occurs if titanium dioxide is illuminated with strong light (particularly ultraviolet light), turning nearby organic matter into harmless carbon dioxide and water. Today, under the guidance of Dr. Kazuhito Hashimoto, research continues into whether photocatalytic reaction can be achieved with visible light. Also in engineering, it was Dr. Ken Sakamura, Professor of Information Science at The University of Tokyo, who first proposed the concept of ubiquitous computing. Dr. Sakamura has long been pioneering research in embedded systems, where micro-computers are embedded in appliances and instruments of daily use. Dr. Sakamura's work has contributed a great deal to the development of global industry today, where miniaturized computers are used in diverse applications including such everyday items as mobile telephones and IC cards. Today, Dr. Sakamura continues his work on ubiquitous computing, which is intended to facilitate efficiency in our daily lives, allowing us constant, smooth and detailed awareness of our surroundings and situation via tiny embedded computers in multiple everyday devices. The University of Tokyo is also a world-leading medical research facility. Dr. Yusuke Nakamura has carried out pioneering research and development into cancer peptide vaccines, designed to prevent further growth of cancer by boosting the immune systems of individuals receiving treatment. This is achieved by injecting patients with peptides thought to work specifically on cancerous cells. The physician Shibasaburo Kitasato was another alumnus of The Department of Medicine; he continues to be renowned to this day for his work on tetanus and serum therapy. The University of Tokyo has been an unrivaled source of exceptional research since its establishment, and it continues to lead the world today. Now, the University is also dedicated to ensuring that research findings do not remain in the laboratory, but are transferred and translated into society as workable, practical solutions to modern problems. This is being achieved by a strong program of exchange and collaboration between the University and industry. The Division of University Corporate Relations is responsible for organizing industry liaison university-wide, including collaborative and entrusted research projects. As is only fitting for an institution dedicated to generating internationally pioneering research, conducted by internationally minded students, The University of Tokyo has a strong tradition of welcoming international students wherever possible. In 2010, around 2,900 students from around the world were enrolled at the University. The University works hard to provide positive support, both everyday life- and career-oriented, to international students. At present, the University of Tokyo has 44 overseas offices to facilitate and conduct research. It also has academic agreements in place with leading universities and research institutes across the world, making it a truly international university with borderless study and research opportunities. Yasunari Kawabata was a writer whose career began while he was a student at Tokyo Imperial University when he had several short stories published in prominent literary magazines. His many masterpieces include The Dancing Girl of Izu (1926) and Snow Country (1935-37, 1947). In 1968, he became the first Japanese writer ever to be awarded the Nobel Prize in Literature. He committed suicide in 1972. Physicist Leo Esaki received a bachelor's degree from The University of Tokyo before gaining employment in private industry. While working on the analysis of defective transistor radios, Esaki discovered the tunnel effect of germanium. In recognition of this discovery, Esaki was awarded a doctorate from The University of Tokyo, and subsequently was awarded the Nobel Prize in Physics. Today, he is President of Yokohama College of Pharmacy. Eisaku Sato was a politician who studied German jurisprudence at Tokyo Imperial University, joining the Ministry of Railways (now the Ministry of Land, Infrastructure, Transport and Tourism) after his graduation. In 1949 he was elected to the House of Representatives, and in 1964 became Prime Minister, serving three terms until 1972. He is remembered for his proposal of the three non-nuclear principles-non-production, non-possession, non-introduction-and for successfully negotiating the return of Okinawa from United States occupation. He was awarded the Nobel Peace Prize in 1974 in recognition of his contributions towards securing peace in Asia. Kenzaburo Oe is a writer whose professional career began with the publication of several pieces of fiction in newspapers while still a student. He has since produced such outstanding works as Lavish are the Dead(1957) and The Silent Cry (1967). He was awarded the Nobel Prize in Literature in 1994. He continues to write today. Masatoshi Koshiba is an astrophysicist who oversaw the construction of an enormous proton-decay detector, called KamiokaNDE, built underground in a zinc mine in Gifu prefecture. In 2002 he was awarded the Nobel Prize in Physics for his achievement in detecting cosmic neutrinos. He continues to teach students and is currently Emeritus Professor of The University of Tokyo. Eiichi Negishi is a chemist involved in research in the field of cross coupling. He proposed that the use of zinc in cross coupling would produce a more stable reaction, a discovery that has made significant contribution to global industrial development. His achievement was recognized in 2010, when he was awarded the Nobel Prize in Chemistry. Today, he is Herbert C. Brown Distinguished Professor of Chemistry at Purdue University in the United States. Yoshinori Ohsumi is a molecular and cell biologist who is interested in understanding the fundamental system in cells that maintain human lives. He was the first to observe the phenomenon of autophagy. He graduated from the College of Arts and Sciences at the University of Tokyo in 1967, and completed the Ph.D. courses and training at the Graduate School of Science in 1972. While he did not officially obtain a Ph.D. degree, he is a talented researcher who has since made significant contributions to the field of cell and molecular biology. He is a pioneer in autophagy research who has subsequently performed research in various fields in the basic and applied sciences. His goal is to understand the processes that occur in living organisms, and to apply his research findings to advance the field of medicine and discover treatments for currently intractable diseases. He is currently an Honorary Professor at the Tokyo Institute of Technology.